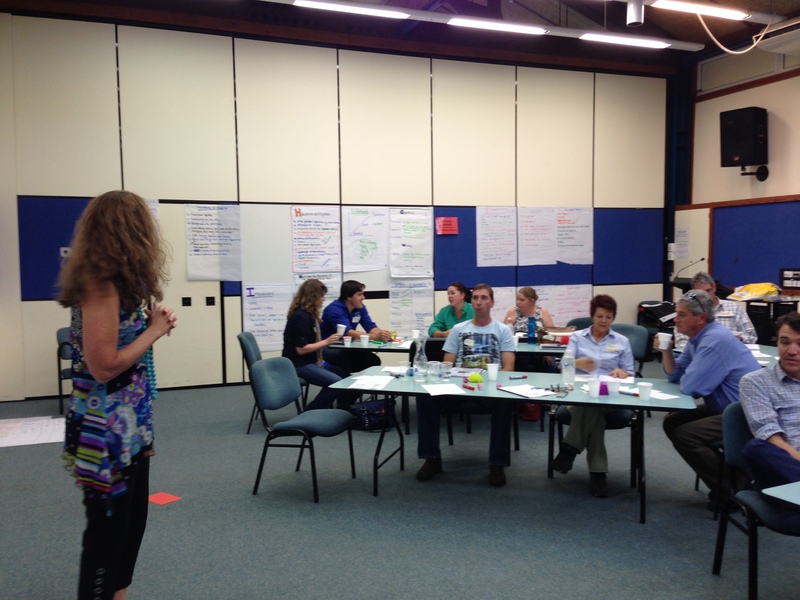 Facilitating larger groups provides a different set of challenges for the facilitator. This week Sharon and I ran our Facilitation Skills Workshop in Qld with a group of 30 professionals who work with beef producers. Have tables set up with five participants per table, this is the maximum I would have at one table to ensure everyone is involved. More that this reduces interaction and provides the opportunity for the quieter members to “hide” within the group. Check visibility – sit in some of the seats prior to the participants arriving to check you are able to clearly see the front of the room, the flip charts, other participants etc. 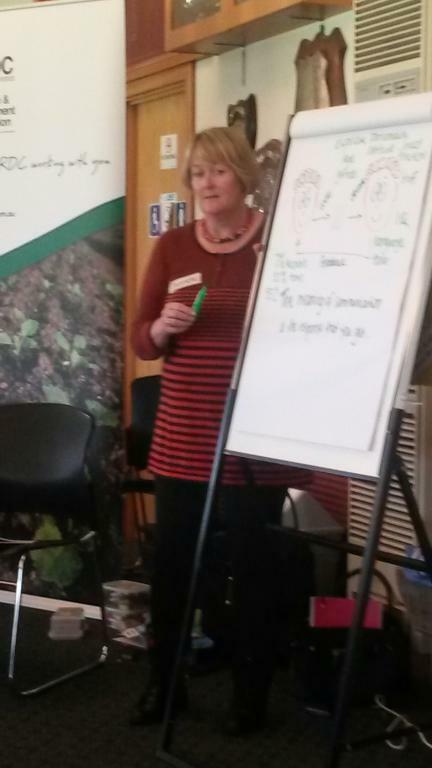 Having two facilitators is very important for variety and the ability to engage with the smaller groups. Our rule of thumb is one facilitators per 12 participants. When developing the group guidelines ask if participants will move tables after each break. This assist with the energy in the room as well as ensuring the participants get to know each other and work with different personality types. Introductions and icebreakers can be carried out at each table, however I still believe it is important for everyone to introduce themselves briefly to the whole group. This can be simply their name and where they are from. Instead of collecting an expectation from each person one at a time and writing these up on the flip chart give everyone a black texta and piece of A6 paper. We asked everyone to write up one expectation, put their name on the paper and stick it up on our “sticky wall”. We then read through the expectations so everyone was aware of what people were expecting. At the end of the workshop we asked everyone to take their expectation sheet back from the wall and write a comment on how well this had been met. These we collected as part of our evaluation. Group discussion, writing up ideas on the flip chart paper and reporting back to the whole group. Group discussion and then collecting one idea per table – going around until all ideas have been collected. The facilitator can record the ideas from the front. Building on each others ideas – each table has a topic and piece of flip chart they write their ideas and then pass the paper onto the next table who builds on the ideas and so on. Eventually the paper will return to the original table so they can review all of the ideas. The sticky wall can be used to collect ideas or points of view from everyone in the room using the a6 paper and read through by the facilitator. As our session included some training and practice we divided the group into two for a practice session.